This year’s Canterbury Anifest, which celebrated its 10th anniversary, opened with a symposium coinciding with another major animated anniversary: the release of Disney’s first feature-length animated film Snow White and the Seven Dwarfs (David Hand, 1937). Entitled “The Persistence of Walt Disney’s Snow White and the Seven Dwarfs”, this interdisciplinary symposium, co-organized by Dr Christopher Holliday and Bryan Hawkins, explored the enduring qualities that have marked the animated legacy of the film. Dr Amy M. Davis (University of Hull) delivered a thought-provoking keynote, interrogating the specificity of Snow White and the Seven Dwarfs as a quintessentially “Disney” film. She particularly emphasized the combination of modernity and nostalgia that characterizes its aesthetic and storytelling style. This duality between technological achievement and traditional feel also permeated through Disney’s advertising and merchandising discourses. Davis’ keynote led to a lively discussion, interrogating the very meaning of “Disney” for contemporary audiences. Panel 1 focused on the adaptation and reception of Disney’s Snow White and the Seven Dwarfs in a particular national context: France. Greg Philip (alostfilm.com) presented a paper on the first made-in-Hollywood French version of Snow White. Relying on this specific case study, his paper revealed the extent of Disney’s attention to detail and control over its animated output, as well as the historical, artistic, and technical significance of Disney’s early adaptations for foreign releases. Dr Sébastien Roffat (Sorbonne Nouvelle Paris 3 – IRCAV) focused on the divided French reception of Disney’s Snow White, focusing especially on how the photographic “realism” of the film was received. Building on a wide range of archival material, Roffat explored the growing gap between mass audiences and intellectuals regarding Disney, arguably initiated in France and still present – to some extent – today. Panel 2 examined in further details the aesthetic of Disney’s Snow White through aspects of design, style, and character. Ian Friend (University of Gloucestershire) discussed the legacy of Snow White’s rotoscoping process within contemporary animation industry, and in particular within current action analysis techniques. Dr Stéphane Collignon (Haute Ecole Albert Jacquard) focused on the particular design of Snow White, arguing that it has defined the stereotypical female character look of the Disney “princess” 80 years on. Exploring the problematic depiction of female beauty within animation, between credibility and caricature, he convincingly argued that any attempt at re-imagining the Disney “princess” would require a complete change in our understanding of what female characters could/should look like. Maarit Kalmakurki (Aalto University) examined components of Snow White’s costume design, which played a key role in imposing an iconic visual image for Disney’s character. Her paper underlined that, although often overlooked in existing literature, costume design was and remains integral to character creation and storytelling in animated films. The last panel considered two other key aspects of Disney’s Snow White: merchandising and music/sound design. Mx. Kodi Maier (University of Hull) approached Snow White as a case study for Disney’s merchandising practices, pointing out that the pioneering introduction of pre-release merchandising greatly contributed to the success of the film. Their paper also examined the increasingly gendered nature of the film’s merchandise, especially since the 2000s and the creation of the Disney Princess franchise. 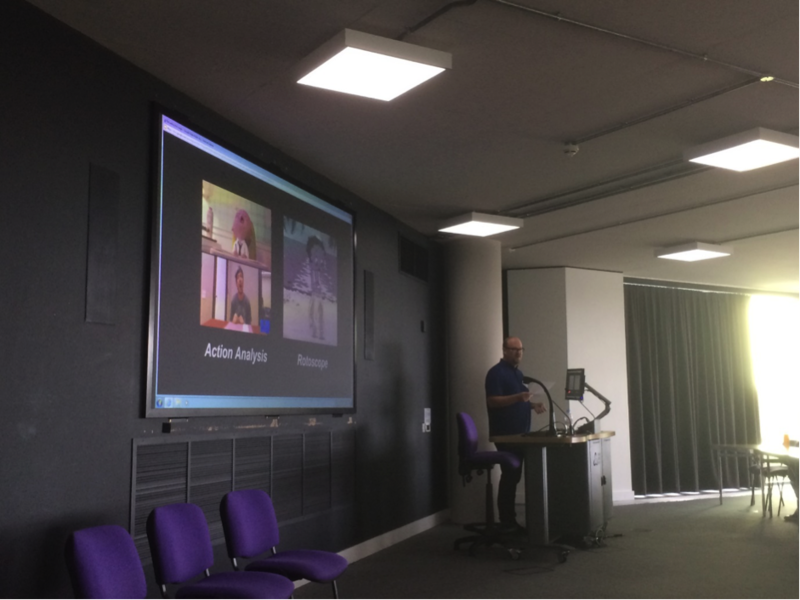 Dr Christopher Holliday (King’s College London) analyzed the film within the context of emerging film sound technology, and more particularly sound design in animation. Placing the film against Noel Carroll’s category of “silent sound film,” his paper also considered Snow White’s soundscape in relation to the hybrid form of the film in-between silent era aesthetics and spoken word. 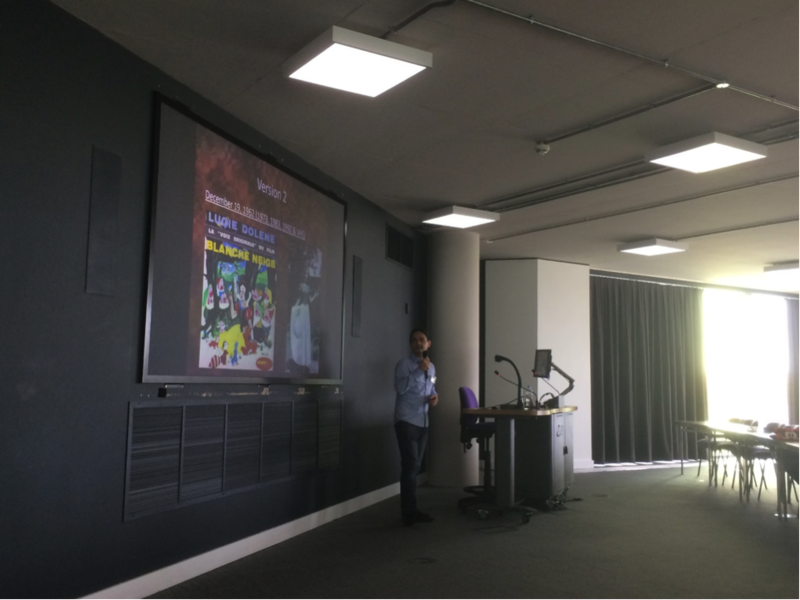 Sadeen Elyas’ paper explored Snow White’s contribution to the musical genre, arguing that the key narrative role of the songs makes the film one of the first integrated musicals. Eve Benhamou is a PhD candidate at the University of Bristol. Her research focuses on genre in Disney’s contemporary animated features (2008-2016), considering more particularly gender constructions, aesthetics and narrative. Her article “Freezing versus wrecking: Reworking the superhero genre in Disney’s Frozen (2013) and Wreck-It Ralph (2012)” was published in Animation Practice, Process & Production in 2016. She has presented papers on Disney and Pixar animation at several conferences, including “Symfrozium” (2015) at the University of East Anglia, “30 Years of Pixar Animation Studios” (2016) at King’s College London, and BAFTSS Annual Conference 2017. She has co-organized 2016’s “Reimagining Beauty and the Beast” interdisciplinary conference (Bristol), and is now the co-convenor of the BAFTSS Special Interest Group on Animation. 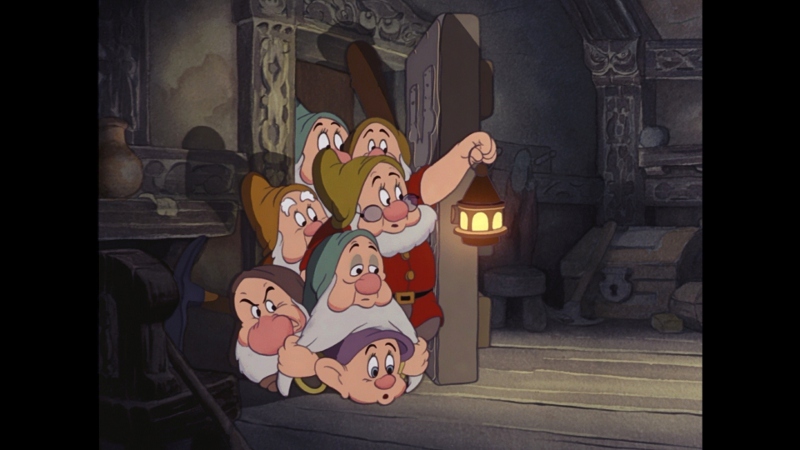 This week, I posted a youtube video about Snow White and the Seven Dwarfs as the beginning of a series I intend to make about each of the 59 Classic Disney films. In developing the video, I found this article extremely helpful and linked to it in the description below the video. I thought you might want to see it, so I am providing a link to my video.